Obituary for Elizabeth "Bette" (Rubens) Drossart | Wiesner & Massart, Inc.
Elizabeth “Bette” Drossart, age 91, entered this world on July 7, 1927 to Elmer and Hazel (Cain) Rubens, and entered eternal life on March 16, 2019 at Woodside Manor Assisted Living in Green Bay, WI. In between those dates, was a beautiful life well lived by a woman who was loved immeasurably by those who knew her. In her later years, Bette became known for singing “I love you a bushel and a peck, a hug around the neck, and lots of smoochies.” XXXOOO. This song exemplified the LOVE she gave to those who entered her life. Upon Lloyd’s return from his military service in World War II, he and Bette began a courtship and would start the rest of their lives together on October 1, 1949. They spent their whole married life in Casco, WI where Bette would share her love with the community and her family. Over their marriage, Bette and Lloyd owned Les Maison Drossart and Drossart Orchards. Soon the love would spread with the births of her children: Laurie, Perry, and Gerard. Much of Bette’s life has revolved around family activities. She spent a lot of her free time attending her children’s and ultimately her grandchildren’s concerts, sporting events, or other activities. Often, she was the loudest member of the crowd, including cheering for the Green Bay Packers, carrying on from her days as head cheerleader at Casco High School. Additionally, she loved spending time at the family cabin in Mountain, WI on Green Lake at Perry’s Paradise. After retirement, winters were spent with Lloyd in Mexico where they established lasting friendships with people from across the United States and Canada. A devout Catholic her whole life, she put her faith above all else. She loved the church and expressed her faith until the last moments of her life. She was always trying to bring others closer to God and the Blessed Virgin Mary. Her philosophy was to pray daily, especially the rosary, and have a relationship with God. She traveled to religious sites in Rome, Lourdes, Assisi, and Medjugorje. Bette Drossart is survived by her children Laurie Hittman and husband Jim; son Gerard Drossart and wife Gail; four grandchildren: Tracie Hittman Fountain (Kevin), Paul Hittman, Alex Drossart and Aaron Drossart (Danielle) whom she deeply loved. Two great grandchildren (Naomi and Milo Fountain) brought so much joy in her closing days. She is also survived by a brother Roderick (Nancy) Rubens, a sister Sharon Rubens Moseler, and two sisters in law, Ceil Rubens and Joan Rubens plus many nieces and nephews. Bette will be reunited with her husband, Lloyd, who died in 2015. She is joining her son, Perry, who was taken prematurely from this earth after a battle with cancer at the age of 21. Preceding her in death were also her parents and siblings/sister-in-law and brother-in-law: Robert Rubens, Russell Rubens (Bernice Rubens), Lee Rubens and Gerald Moseler. Visitation will be at Wiesner & Massart Funeral Home, Casco, WI on Friday, March 22 from 8:30 until 10:30 am, the American Legion Auxiliary will take part in the visitation. A Mass of Christian burial will be held at Holy Trinity Catholic Church, Casco on Friday, March 22 at 11:00 with Fr. Daniel Schuster officiating along with Fr. Milton Suess and Deacon Bob Miller. Burial will follow in the church cemetery after the Mass. The family also would like to express appreciation to Dr. James Williams and his staff for excellent medical care. A special thanks to all the staff at Woodside Manor Assisted Living for their love and concern. The family would like to thank the staff from Unity Hospice for the continuing care and compassion shown Bette at the end of her life. 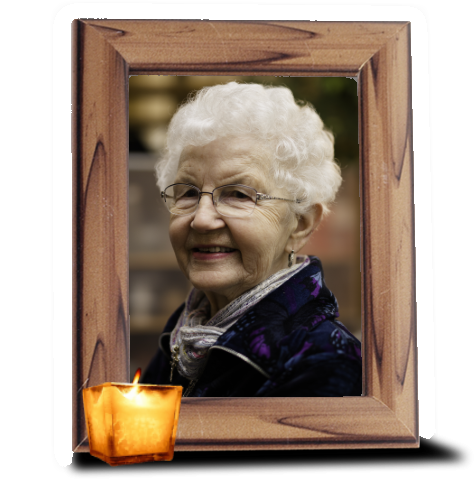 In lieu of flowers, memorials may be made in Bette’s memory to: Holy Trinity Catholic School and/or Parish OR Department of Ophthalmology at Mayo Clinic-Rochester, MN. Online condolences may be shared at www.wiesnermassart.com.